Are you seeking eye-catching, funky, accessories for the Christmas Party Season?! Or perhaps you’re looking for a unique, Christmas present for someone special? Well look no further! 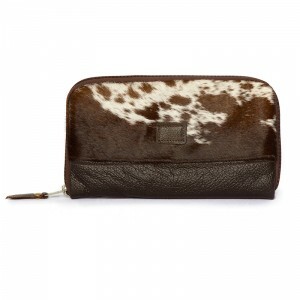 Our new season Zulucow Cowhide Clutch have gone down a storm! Not only are they finely-crafted, one of a kind, dramatic pieces; they are also bang on trend with this season’s animal print obsession! I have worked for nearly a year with Ma Beatrice, Philippine, Kwazi and the highly skilled Zulucow leather workers and seamstresses in the workshop in South Africa; designing; sampling and finely honing our two, new style, Zulucow Cowhide Clutches. 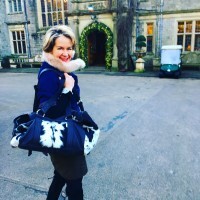 The Zulucow Clutch Shoulder Bag has detachable leather and chain straps as well as a wristlet; and the ‘Impi’ Clutch is a neater and smaller clutch bag. 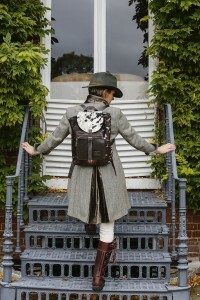 We’ve been bowled over by the keen interest and ‘lurve’ they’ve received! I’ve always had a mild obsession with fluff, feathers, faux fur; and animal print. An obsession which soared to another level when I first set my eyes on the exquisite Nguni cowhides on a roadside stall, ‘padstal’ in South Africa, on a family holiday, nearly 7 years ago now. Zulucow was hatched and since then, the Zulu craftswomen and men and my SA partner and I have been working together, introducing new lines to the Zulucow accessories and home accessories collection. 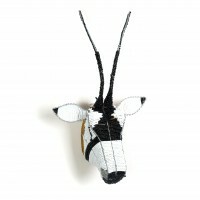 But boy the reaction to our funky new ZC cowhide clutches has hit another level! The Larger Clutch Shoulder Bag, is neat, sleek and critically; hugely versatile. With its detachable leather and chain shoulder straps and leather wristlet strap, it is perfect for day-wear (I use the leather shoulder strap) or evening-wear (my choice: chain strap) or wear it ‘strapless’ under the arm for a chic statement. 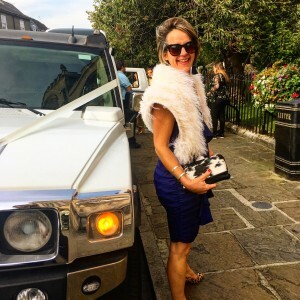 Think Mulberry’s ‘Darley’ I love my ZC Clutch; it’s so handy as it accommodates my cards; phone, cash, keys, bits of make-up, dog treats…and it’s hands-free – bonus! 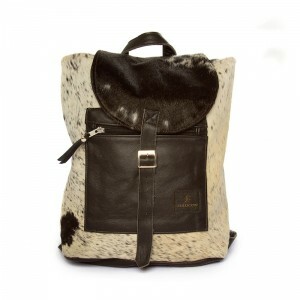 And here’s a sneak peak at Zulucow’s other exciting new line in leather accessories this AW/17: our handsome new Cowhide Backpack, finely crafted from sumptuous natural leather and gorgeous cowhide. More on this butter-soft, beauty in the next blog. 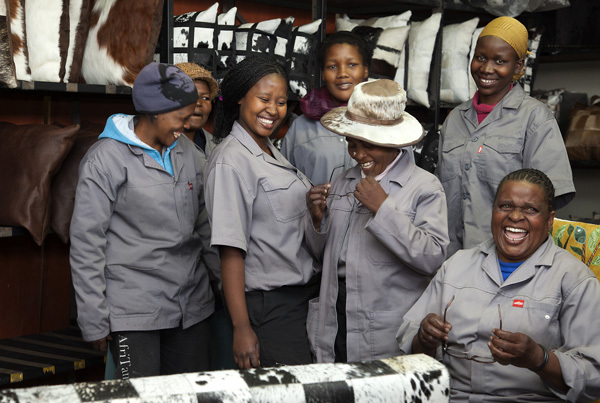 The Talented, Zulu Craftswomen and Men Who Make our Cowhide Rugs, Bags, Belts….